Remember the good old days when you got your acceptance letter from Penn in the mail? 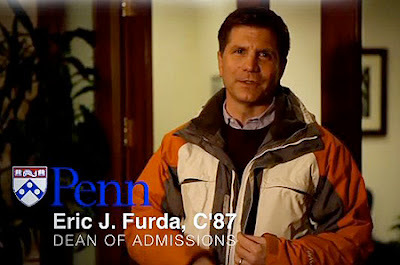 Well this week, some select students received a video about their "likely" acceptance to Penn. Find out about what this "likely acceptance" is all about ...and watch the video after the jump! If you recall, Penn took this big step earlier this year for aspiring journalists, and now a famous alum of ours is making a sizable donation to further support this endeavor. More about this alum and details about what it will support after the jump! If you missed SNL this weekend, you would have missed Vanessa Bayer (C'04) doing her Miley Cyrus impression alongside the actual Miley Cyrus (dressed us as Justin Bieber). Plus, check out Vanessa's return to Penn's campus to support the comedy group she got her start in!